The most popular tour in the book! 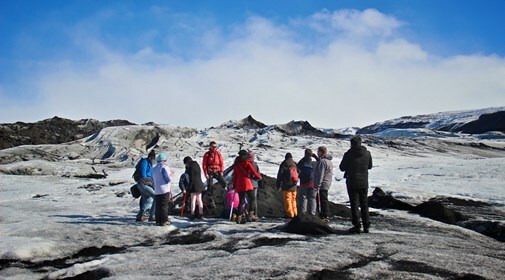 On this Iceland day tour you will be guided through the labyrinth of a glacier tongue extending down from the fourth biggest glacier in Iceland. 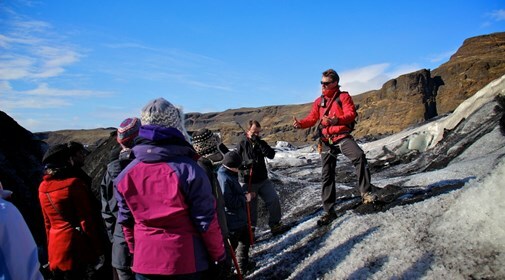 A glacier walk is a great way to experience Icelandic nature, and a tour to Sólheimajökull glacier tongue is an ideal way to spend the day. 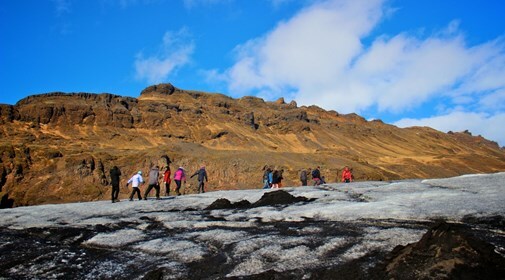 On the two-hour drive from Reykjavík, you will pass right under the famous Eyjafjallajökull volcano that caused so much trouble in the spring of 2010. 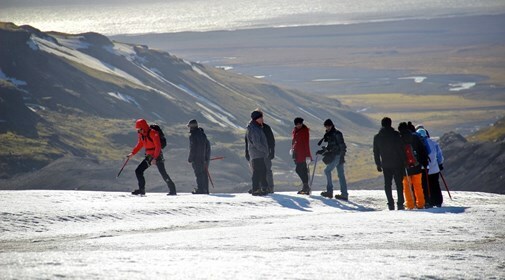 Just east of the volcano lies Sólheimajökull, an outlet glacier from Mýrdalsjökull, Iceland’s fourth-largest glacier. 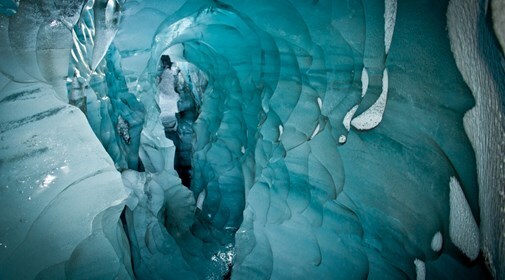 There, we will go on a safe and easy glacier walk on crampons up onto the ice field. 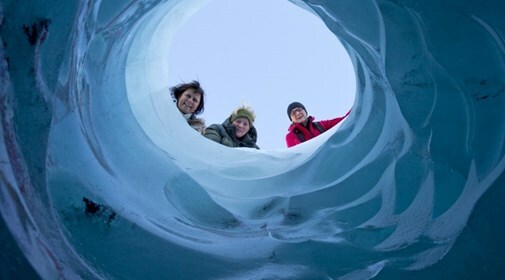 As we explore the wonderland of ice sculptures, ridges, and deep crevasses, you will learn more and more about these disappearing giants. 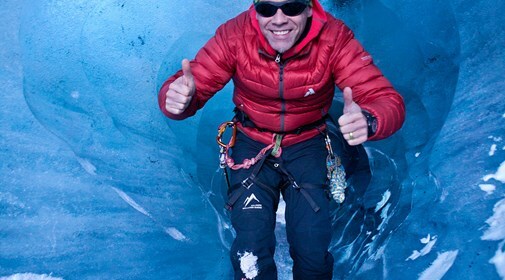 Our experienced mountain guides will teach you how to use basic glacier equipment necessary for this tour. 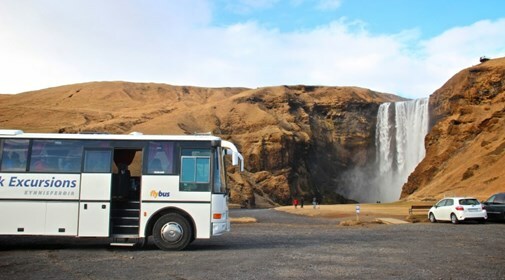 On the way back we will stop at the picturesque waterfalls, Skógafoss and Seljalandsfoss. Pick-up: From nearby bus stop at 8:30. 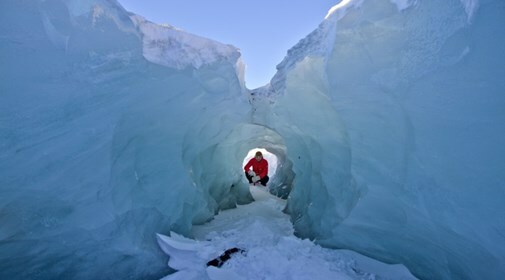 Included: Transport, guiding, services, glacier gear and safety equipment. 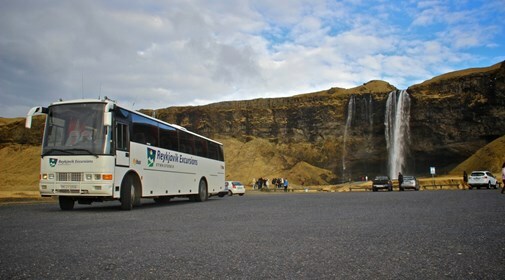 NOTES: The pickup in Reykjavik is operated by Reykjavík Excursions. 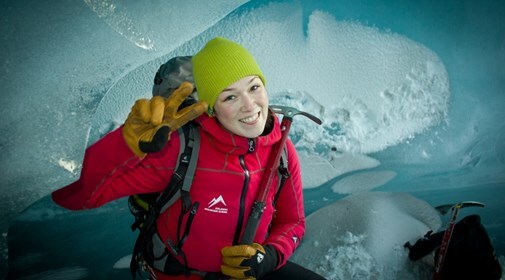 Bring warm clothing, rain gear, hiking boots and lunch. Boots and rain gear can be rented (1.500 ISK).